Once home to Greeks, Romans, Byzantines, Normans, Swabians, and the Spanish, Puglia is a peninsula within the larger Italian peninsula, bathed by the Mediterranean Sea on three sides. This 6-day small group trip of no more than 15 passengers will give an evocative overview of this Southern region of Italy between Bari and Lecce. 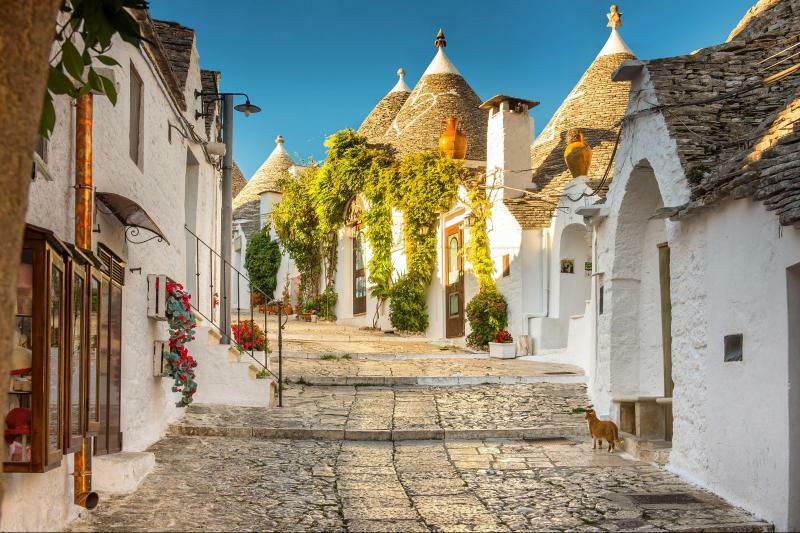 Puglia is incredibly rich in historical culture, delicious cuisine, and breathtaking sceneries like the Trulli in Alberobello!